Truth on Wikipedia? Going Once, Going Twice, Going Three Times, SOLD! 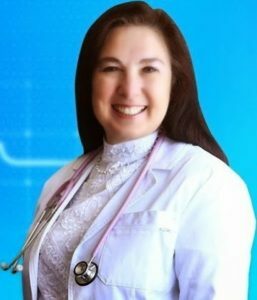 News that Argentine & Brazilian doctors named Pyriproxyfen larvicide as a potential cause of microcephaly broke on February 10, 2016 and alterations to Pyriproxyfen’s Wikipedia page were re-edited to reflect that event on February 11th 2016. Since that time there has been a frenzy of revisions to the Pyriproxyfen page. Pyriproxyfen’s revision history reveals that an information war broke out between people who added the larvicide’s link to microcephaly, and a Wiki member who goes by the name of Silver Seren. According to Wikipedia’s revision history for the Pyriproxyfen page, Seren began inserting pharmaceutical propaganda into the page, in an attempt to discredit the Pyriproxyfen-microcephaly data others had inserted. Seren inserted text accusing those linking the larvicide to birth defects as being crazy. As of today, February 18, 2016, Seren has inserted text asserting that Pyriproxyfen is not used in the region of Brazil where the highest reported cases of microcephaly were (allegedly) recorded, but that another insecticide altogether was used. Seren also inserted allegations made by a neurologist from a BBC article, who claims the fetal injuries are a congenital infection and not caused by larvicide. In other words, Seren continues to insert hearsay allegations without any science data to back them. “Silver seren” is clearly editing and re-editing Pyriproxyfen’s official Wiki page to reflect Monsanto & Big Pharma attitudes, and Wikipedia’s reputation is further sullied and discredited by his shenanigans. One would hope that an unbiased biochemist will make the necessary corrections to the Pyriproxyfen Wiki page ASAP, and that Silver Seren will be reprimanded for his hi jinx, in order to stop the disinformation campaign being perpetrated on the general public. 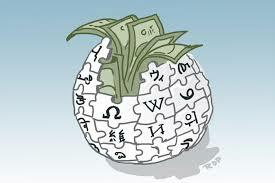 Wikipedia should not be used as a Corporate funded propaganda tool, but it is.